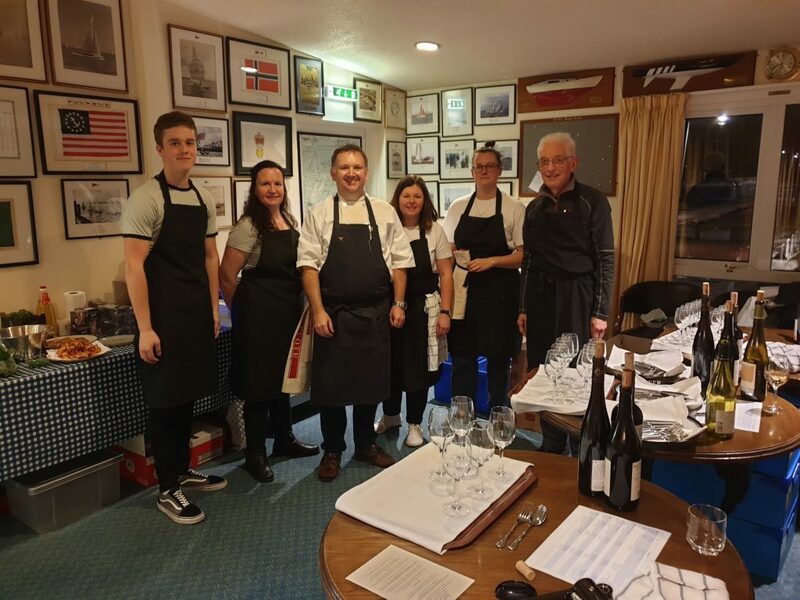 The debut of a pop-up restaurant “Paired” by Will Davies was held at Royal Forth Yacht Club on the evening of Saturday 2nd March 2019. The attendance was capped at 24 guests, who arrived to a clubhouse that had been converted to a restaurant for the event. On arrival at 7pm, guests enjoyed an aperitif from the bar, whilst mingling with the other expectant guests. No one was quite sure what to expect from the night ahead, but there was a wonderful air of expectation about. Once the final guests arrived, guests sat down for the start of their tasting adventure. 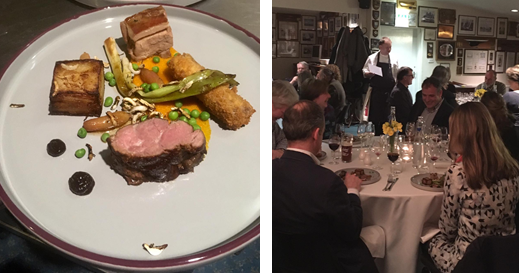 The event was created, hosted, cooked, and wine chosen, by our own club member Will Davies. Will has previously run very successful wine tastings and gin tasting events at the yacht club, so at least guests knew the drink would be ok! Will kicked the event off with a brief introduction to the evening, informing guests a bit about what they were to expect and gave them a glass of fizz and some pre dinner nibbles to get the palates warmed up! A glass of Prosecco, which was served with palmiers stuffed with palma ham and cheese; and chorizo crisps with a Boursin cream kicked the evening off. Next a trio of amuse bouche came out, along with a glass of Spanish Alvarinho wine. The trio included: a smoked haddock croquette with pea puree; a Parmesan biscuit with onion puree; and crispy rigatoni pasta stuffed with ham hock, nduja and tomato. Next up was a starter of pork cheek, with a lobster and seafood bisque, topped with granny smith apple and a squid ink tapioca crisp. This was paired with a Vouvray white wine from France. A palate cleanser of vodka gazpacho followed. A warm crab tart with watercress salad dressed in lemon and tomato oil was served next and was accompanied by a white Burgundy wine. Following this was a Jerusalem artichoke soup topped with gammon cubes and Jerusalem artichoke crisps. A milk bread roll was also served. This was paired with a Pinot noir from Alsace, the first red of the evening. Finally we were onto the main course which was a trio of lamb (Shoulder, neck and a crispy belly fritter) accompanied by a lamb jus, potato pave, puffed rice, black garlic puree, charred spring onion, roasted radishes, carrot puree, petite pois and a mint gel. All washed down with a fine Rioja reserva from Spain. 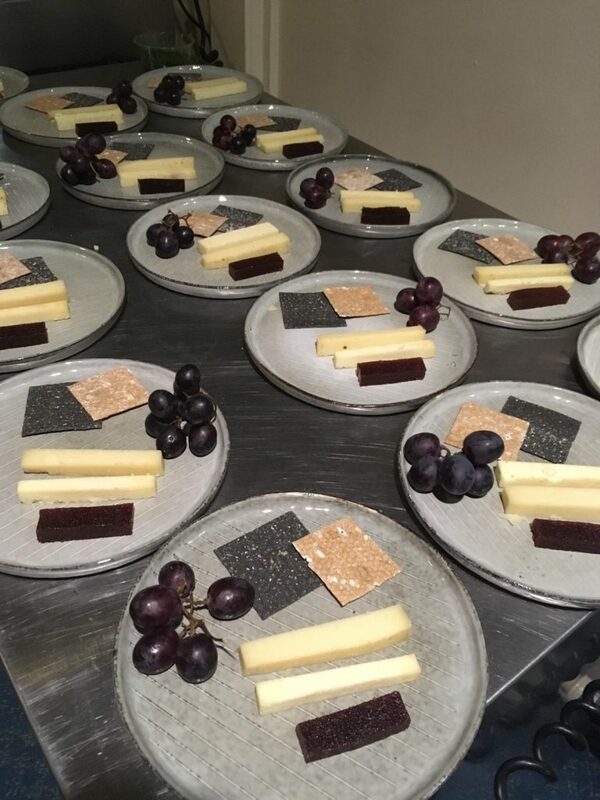 Cheese was next up with a 22 month aged Comte cheese and an Anster cheese from St Andrews in Fife. These were paired with an Italian Dolcetto D’Alba wine. 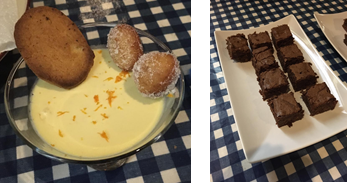 Finally it was dessert, which was a rosemary and naval orange posset, with rosemary shortbread and mini donuts. This was served with a wonderful dessert wine from Australia, a Taminga grape variety. Coffee then followed, served with a chocolate, fudge and sea salt brownie. The evening was a huge success and all the guests had a thoroughly enjoyable time. Expectations were exceeded by far and everybody left full, more than satisfied, and wanting to know when the next one will be! 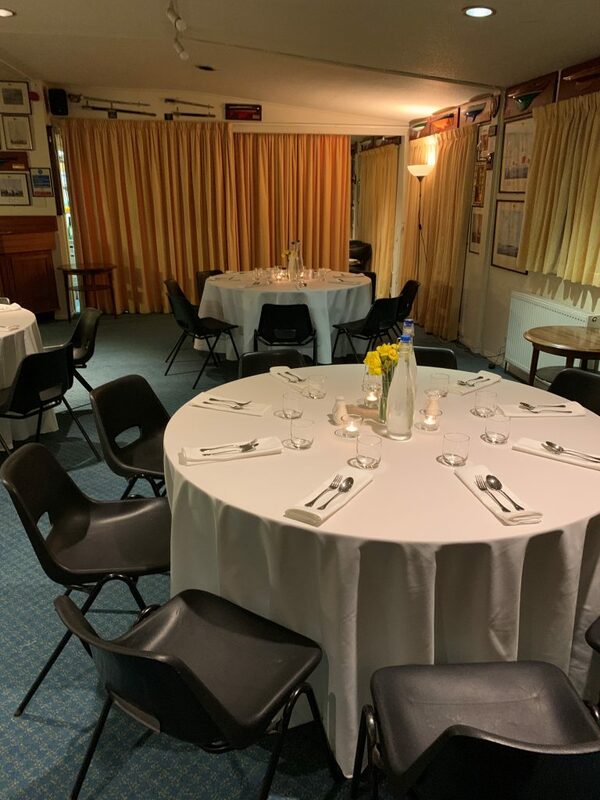 The club was, as usual, a fantastic venue and it felt extra special as a fine dining venue for the night. The team supporting me on the night were fantastic and a big thanks goes out to them for their support, without whom these nights can’t be done. It was also so wonderful to have such brilliant guests, who helped make the evening so superb – so thank you to you too! Due to the success of this event, there will definitely be another pop up restaurant “Paired” by Will Davies later on in the season. It will be a different menu, but equally as good! I know already that demand will be high, so when the date is released I would encourage you to get in quick before all the places are taken!